Can I clone a group? A standard group in the console. If cloned, the new group will contain the same users. A group that is managed by Active Directory Integration. If cloned, the new group will contain the same users, but will not be managed by ADI. Visit our Active Directory Integration (ADI) article for more information. A group that is created based on specific criteria. 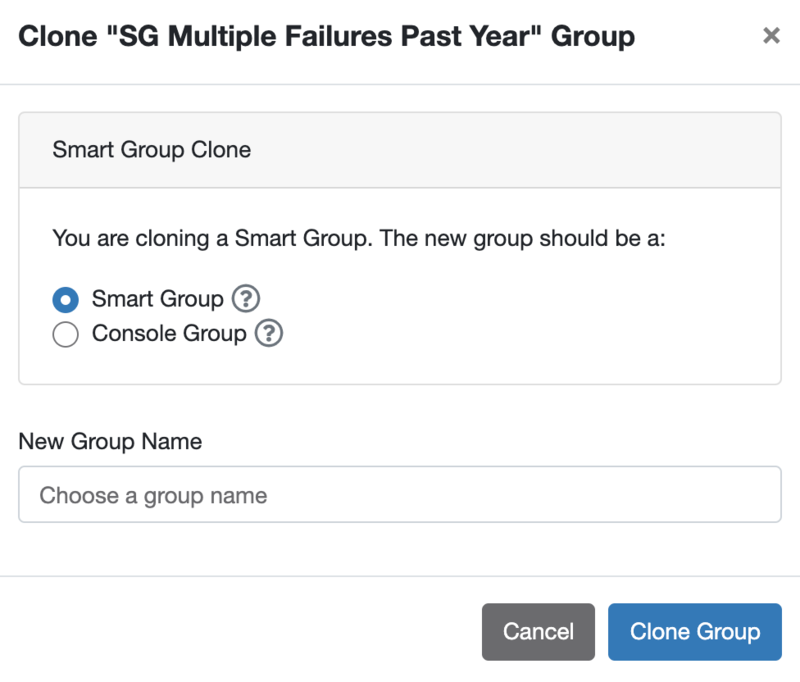 If cloned, the new group will contain the same criteria as the previous Smart Group but can be customized as needed after cloning. Visit our How to Use Smart Groups article for more information. Navigate to Users > Groups. Click the drop-down to the right of the console group you'd like to copy. The next screen will prompt you to choose a New Group Name. 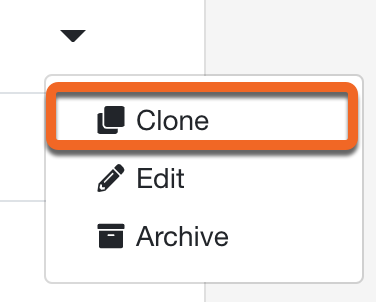 Click the Clone Group button. Click the drop-down to the right of the ADI group you'd like to copy. 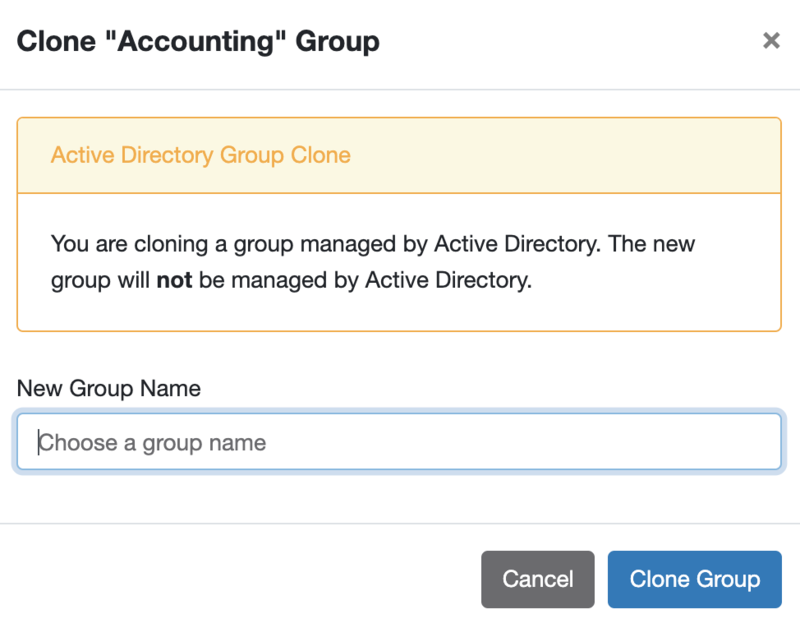 If you clone a group managed by Active Directory, the new group will not be managed by Active Directory. Click the drop-down to the right of the Smart Group you'd like to copy. This option will create a new Smart Group which contains the previous Smart Group's specific criteria. Smart Groups are dynamic and the group members will update according to the criteria selected. The criteria can later be customized if desired. This option will create a new console group which contains all current members of the cloned Smart Group. This group will not be dynamic as it is not a Smart Group. Users can be added and removed to this group manually if needed. Choose a New Group Name.